Other Sound City Reading materials used at all levels include large versions of the sound charts that are in the books to hang on the wall in a classroom, letter and phonogram flashcards, and games to help students remember the alphabet and phonogram sounds. 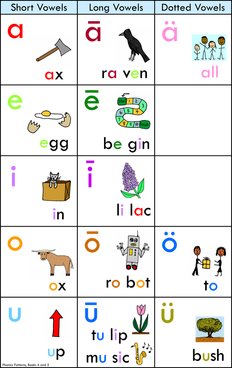 Games vary from one level to the next and are designed to reinforce the alphabet letters and phonogram patterns taught at that level. Note: A phonogram is a written symbol that represents a sound. 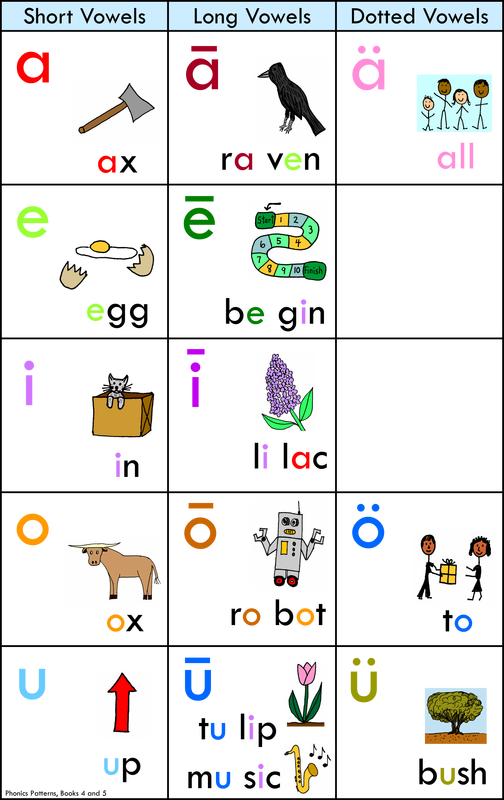 Letters are phonograms, and letter patterns, such as sh, th, ee, igh, and oy are also phonograms. In this program, students review one or more of the sound charts daily. This repetition helps students to remember the many letters and letter patterns they must learn. The sounds charts are found at the beginning of each student's book. Sound pictures from the sound story appear with the letters and patterns to show the correct sound. In addition, some charts have key words and pictures. While individual students are easily able to work with the sound charts in their books, it is very helpful to have larger versions of the charts to put on the wall when working with a whole class. This way the teacher can use a long pointer to go from one pattern to the next. Students watch and say the sounds in unison. The wall charts can be used to introduce new patterns, review patterns, and point out patterns that students have forgotten so that they can remember them. Another benefit of using wall charts is that students can use the wall charts independently as a reference while doing independent creative writing activities. If they are not sure how to spell a particular sound in a word, they can look at the charts to see all the letter patterns that represent that sound. For example, they can see that the oa, oe, o_e, ou, ow, old, oll, olt, and olk patterns can all represent the long o sound. They may see and recognize the correct pattern, or at least they will see the possible options and have a better chance of choosing the correct one. Sound cards are used daily to review the sound symbols that students have learned. 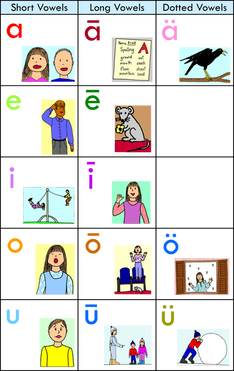 This time students must remember the sound or sounds for each symbol without the sound pictures. The goal is for students to be able to say the sounds instantly when they see each card. The cards are numbered in the order in which they are studied. This makes it easier for the teacher to find the correct cards to use for the daily review. 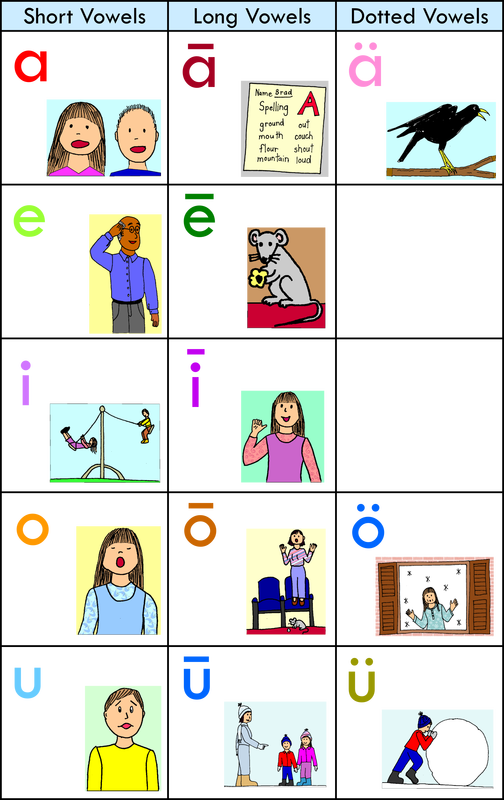 At each level there are games which provide practice recognizing and saying the letter and phonogram sounds. The games are designed to play in small groups under the supervision of the teacher. Students who are not very interested in letters and sounds often love these games and become much more focused when playing. There are also a few activities that provide practice in various skills. Students build letters with circles, lines, and curves in the Letter Shape activity. Students match pictures to beginning sound letters in the Beginning Sound Picture Sort activity. Students practice putting two sounds or more sounds together smoothly in the Letter Connections activities. Students practice reading short vowel words in the Picture-Word Lotto file folder activities. ​Not all of the games are pictured here. See the list of games below. Some games can be useful at more than one level. ​Exploring Sounds In Words books. ​Exploring Sound In Words books. Know The Phonetic Code books. There are one or more different sets for each book. Each set reviews the most recent patterns taught.